Adam Ybarra — aka Little Boo Boo — is facing weapons charges and is featured in the anti-gang documentary, "Life Facing Bars"
A documentary meant to dissuade at-risk teens from buying into the false gang life promises of quick cash and eternal loyalty premiered last week at the Edwards Stadium Theater in Santa Maria to a packed house of lawyers, judges, teachers, and city councilmembers, along with community leaders, area residents, and nonprofit groups. The 40-minute film, titled Life Facing Bars, was commissioned by the Santa Maria Police Department and created by Matt Yoon, a 2013 Cal Poly journalism graduate. It’s been uploaded to YouTube, and had attracted more than 25,000 views as of Monday afternoon. Yoon said he was producing videos for his church last year when he was approached by Lieutenant Daniel Cohen. 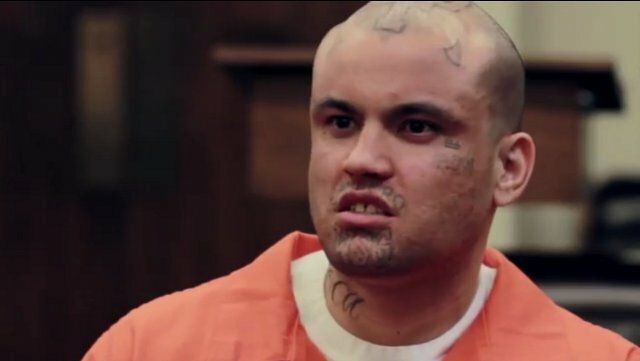 Interested in the prospect of interviewing ex-gang members — and needing to complete a senior project for his major — Yoon agreed to join forces for the unique crime-prevention venture and was soon headed to Kern Valley State Prison and Santa Barbara County Jail for notably unrestricted access to the facilities and their inmates.